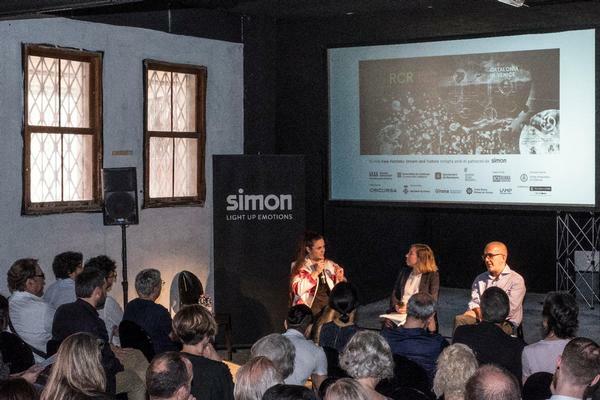 Next Tuesday, 15th May, from 7 pm SIMON 100 (C/ Sancho de Ávila, 66) will be hosting the meeting between the curators of Catalan participation at the Architecture Biennale in the last few years. 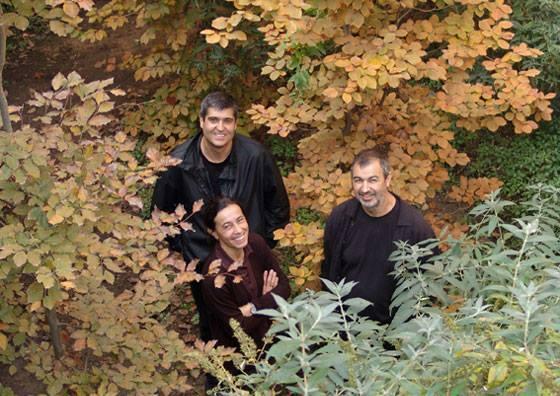 Félix Arranz, Josep Torrents, Jaume Prat, Jelena Prokopljević and Isaki Lacuesta will share with the public their experiences before and after being curators of the Catalan pavilion at the Architecture Biennale, which has been promoted by the Institut Ramon Llull since 2012. The Institut Ramon Llull presents as Collateral Event RCR. 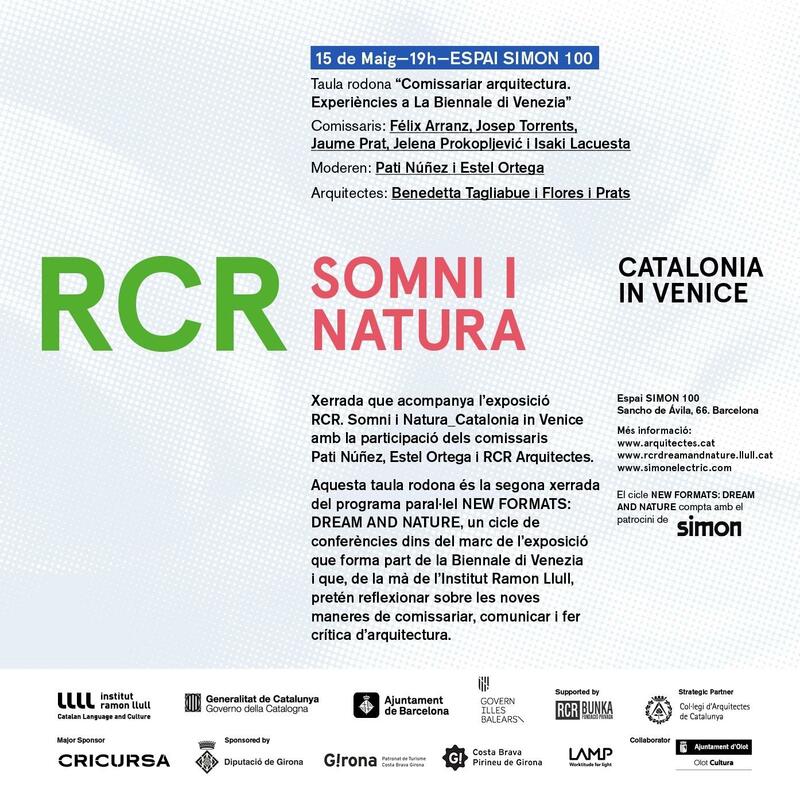 Dream and Nature_Catalonia in Venice, a project about the architecture firm, RCR Arquitectes - recipients of the Pritzker Architecture Prize in 2017 - for the 16th International Architecture Exhibition - La Biennale di Venezia, that will run from May 26th to November 25th, 2018. 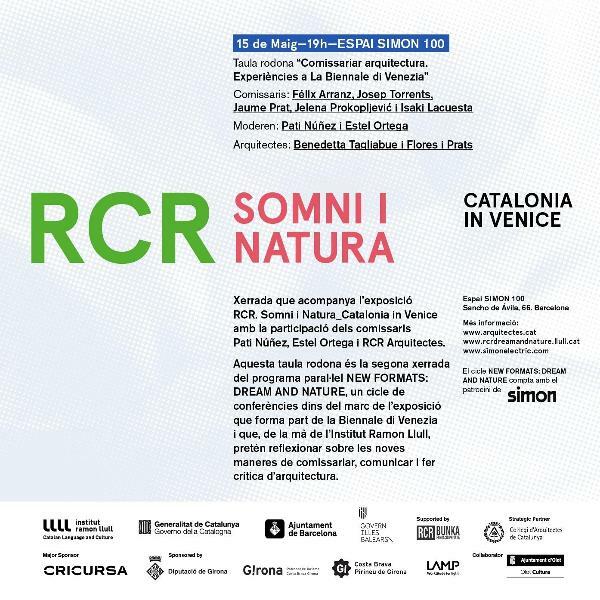 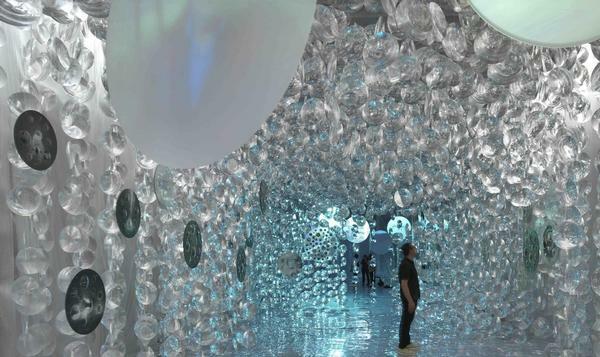 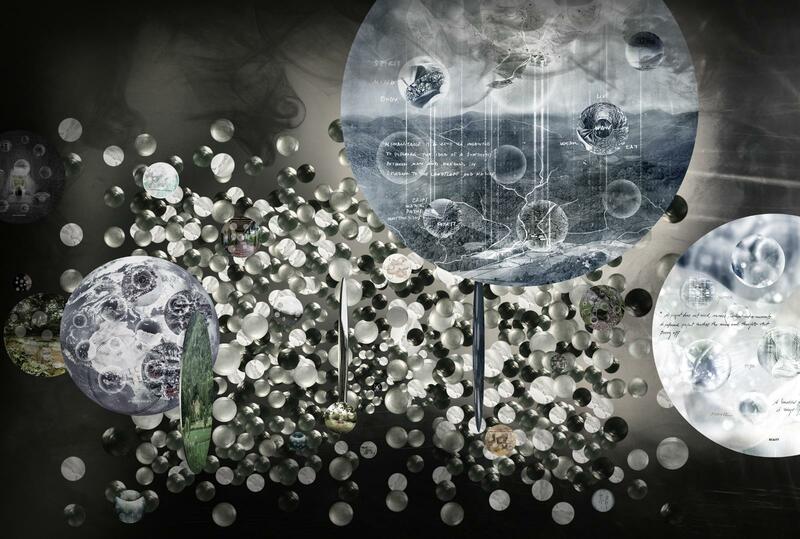 “RCR: The Dream” will be the title of the Catalan proposal at the 16th Venice Biennale of Architecture. The Catalan team of architects, recent winners of the Pritzker Prize, and its creative world, will be the show’s strong point. The co-curators of the proposal will be Estel Ortega and Pati Núñez, winners of the competition held by the Institute Ramon Llull with a panel of judges presided over by a representative of the COAC and made up of four members, representing the AJAC, the Consell d’Escoles d’Arquitectura, the FAD and the RCR studio. 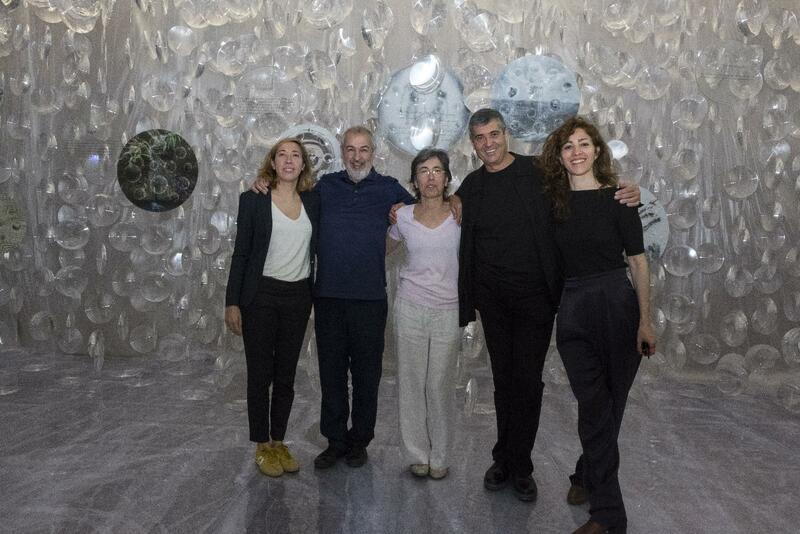 The Institut Ramon Llull has published the rules for contracting a co-curatorship service to draw up, together with the RCR architects’ studio, and based on its work, the curatorial proposal for the participation of Catalonia in the Eventi Collaterali of the 16th Venice Architecture Biennale. 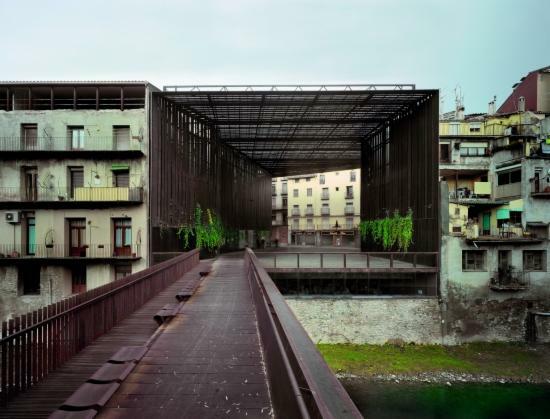 In this edition Catalonia will be represented by RCR Arquitectes, the studio that recently won the Pritzker Prize.